The word Lent may bring different experiences to mind. Maybe some of you experienced the stuffier version of a traditional Lent that had no breathing room. Maybe it feels like a Bible Calendar that isn’t relevant to your walk. Or maybe you’ve experienced something profound that changed the landscape of your spiritual life. 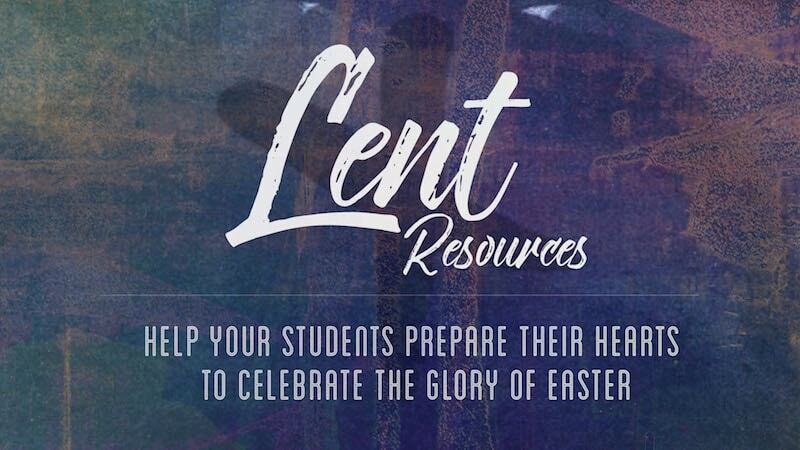 I’ve talked with youth workers across the nation and everyone has a different thought about the practice of Lent, but one thing we can all agree on is this: Our lives and our student’s lives are filled with chaos. Everyday there are several things that claw at our attention, and each distraction wants to be your priority. For you it could be your family, your ministry, your bills, or the latest Netflix original. For our students it could be their future, relationships, or school. Matt Cutts does an amazing Ted Talk called Try Something New for 30 Days and he notices that something amazing happens when he commits to trying something new for 30 days. Matt realizes that a habit is formed, and with that habit comes joy. Lent is an amazing season where we, as the church, can encourage this idea of forming new habits to make a better life. When done right, with the right material, Lent can lead us to a greater spiritual confidence. In this time of self-evaluation, we gain strength in our understanding of who we are and how we can grow. Lent can do that, but it has to be done in a way that challenges us the right way. Remember, an odyssey builds character by presenting trials. 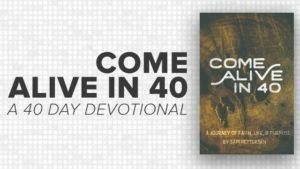 A good Lent devotional has to have good challenges that lead to growth. These challenges can be self-reflection or even a challenge to live differently that week. When a student can meet a challenge’s demands they gain confidence. But in order for a student to gain confidence the challenge needs to be worth their attention, and it needs to be attainable. Its not enough to tell students to go read 40 different chapters of the bible. 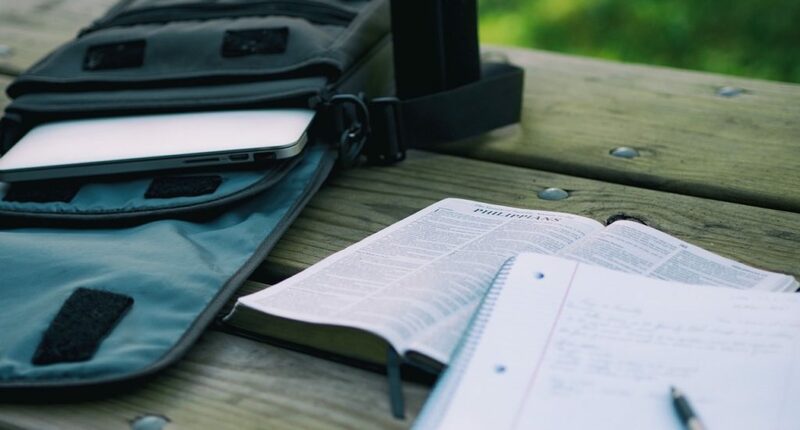 If we’re going to point students to scripture, it has to be relevant and attainable for them to gain confidence. One of my biggest pet peeves with devotionals is when they tell me to go read a verse and I can’t figure out how it had anything to do with the topic that day. I don’t like wasting my time, and when the challenge or intention isn’t clear, your students will tap-out and give up. The challenge must be achievable in a way that they can gain confidence no matter how spiritually mature we are. When the challenge isn’t feasible, students gain doubt in the place of confidence. Lent can give the framework to build spiritual confidence, but we have to give them the right material. When you give something up and add something in its place, there is satisfaction knowing that you did it. You can feel accomplished in what you’ve started, and that confidence can lead you to even bigger challenges and bigger expectations of God. When you spend 30-40 days being challenged by God’s word and adding value to your life, you’ll find yourself in a new spiritual depth. Why? Because application will always bring understanding. Lent puts us in a place where we have to invite the Holy Spirit into our self evaluation. Its in this transparent process that God reveals where we’ve been struggling, and it shows us why we’ve been so exhausted. It forces us to apply what we’re reading, and out of application comes understanding. Its not enough to just read the Bible. Reading the bible will only make you smarter, and to students that can come off as shallow. When we’re put in a position to interact with God as a person, we shift from trying to gain more knowledge to wanting to know God more. Relationship is the key word here. Lent makes room for us to strengthen our relationship with the Creator. Application will always lead to understanding, understanding will lead us back to application, and out of the two will come a deeper relationship with the Father. I hope you can see how Lent could be a game-changer in your ministry. I’m not a traditionalist in any sense, but I can see the value of what God can do in your life, if you only gave Him those 40 days. I think that time could be the doorway to something even bigger in your student’s walk with Christ. That’s why I created “Come Alive in 40”. I believe this study has the power to start something great in your ministry, and if you’re still unsure check out the first 5 days for free.